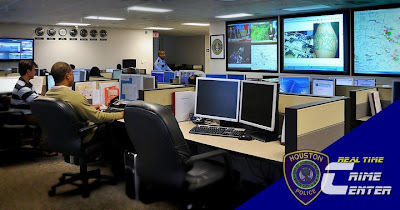 Criminal Intelligence Analyst (CIA) Pandora works in the Real Time Crime Center (RTCC) at police headquarters. The Real Time Crime Center is a centralized technology center in which its primary purpose is to give field officers and investigators instant and comprehensive information to help identify patterns and stop emerging crime. Recently, investigators were searching for some major gang members who were threatening business owners. The crooks would pose as undercover police officers to gain entry into the homes of these business owners. Once inside the home they would ransack the homes for cash and valuables and threaten their lives before abandoning the scene. This gang would first identify their target and set up surveillance. Then two members of this gang would dress up as members of a police raid team and approach the front door of their target. After gaining entry, they would subdue the victims with flex cuffs and cover the victim’s face to conceal the gang’s identity. After completing the raid, other members of the gang would show up to search the residence for cash and valuables, take pictures of the victim’s and then threaten their lives to keep them from reporting the crime and testifying in court. Investigators were able to identify, capture and charge the gang members but needed help finding the ring leader of the gang. All they had was a last name and a fictitious social security number. After extensive investigation, the case started to go cold. That’s when they contacted the RTCC. CIA Pandora jumped into action utilizing her analytical skills to query the various databases within the RTCC and she was able to determine the ring leader’s real name, address, phone number, place of employment and his real social security number. This ring leader was also linked to numerous crimes and determined to be a habitual criminal. As a result of CIA Pandora’s due diligence and analytical skills the gang leader was located, arrested and charged with multiple felonies. HPD would like to commend Criminal Intelligence Analyst Pandora for a job well done.